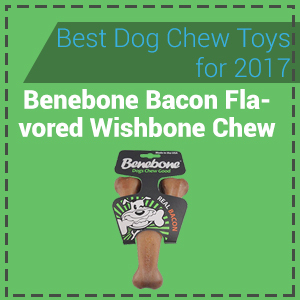 Best Dog Chew Toy for 2017 | Keep Your Pooch From Chewing Your Shoe! Dogs are naturally curious and investigative creatures. To know and to be familiar with their environment, they smell things, taste it, and they even chew it. If you own a puppy that is between 3 to 6 months old, they are still going through the teething phase where they chew anything. That could be dangerous for them since they can choke and eat objects that they can’t digest easily. You’re missing one your socks, the other pair of your shoes, the remote control of your TV, or your favorite shirt? Most probably, your dog is the culprit. Lucky you if you find your favorite shoes still in the best condition despite being wet by your dog’s saliva, and not shredded into pieces. If you’re looking for a way to stop your dog on munching on the newest sofa set that you bought, we listed some of the best dog chew toys for 2017 that your dog can enjoy. 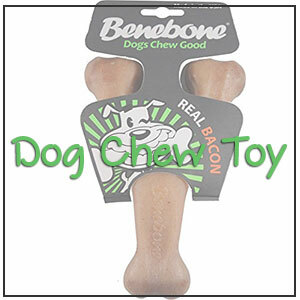 This chew toy has 100% real bacon ingredient that dogs love; the scent and flavor will surely entice your dog to take a bite instead of chewing your shoes. This chew toy is made from a very strong nylon that can’t be easily broken so it would last long. The design is also a wishbone to provide your dog’s great chewing experience. Upon your dog sinking its teeth on the toy, it will release a stronger scent of bacon to get your dog hooked with this chewing toy. This toy is best for dogs who are less than 70 pounds. What’s nice is that you get to support animal welfare nationwide when you buy this. Part of the sales from the toys manufactured by the company will be donated to animal support organizations. Isn’t that nice? The bacon smell doesn’t last very long. Do you notice that your dog loves chewing stuffed toys? Then buy one! KONG Wild Knots Bears is not your typical stuffed toy that is purely soft – this one is soft and cuddly on the outside while durable and strong on the inside to cater to your dog’s chewing habit. Inside this toy is a knotted rope skeleton that your dog can chew on. This will also make the toy harder to break. There’s a minimal stuffing inside to guarantee that it won’t be messy in case it is torn apart by your dog’s extreme chewing. It’s not as durable as the bone chewing toys. Cotton and cloth for the outer material, strong rope for the skeleton stuffing. Dogs have the natural instinct of hunting for food. They have the instinct to work hard for what they would eat. KONG Classic KONG Dog Toy can pacify this trait. You can put treats inside the toy and let your dog work to get the treat inside as a reward. 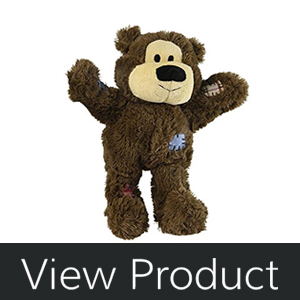 A dog with behavioral issues or separation anxiety can have this toy as a form of therapy from distracting them. Many reviews say that it is really an effective method to divert your dog’s attention from its behavioral problem or separation anxiety. It also exercises the dog’s mind by letting him think of a way to get the treat inside the toy. If your dog is used to play by himself, this toy can be very entertaining for him. Playing with this toy regularly can also improve his oral health. Since this is made with rubber, it easily cleans the gaps between your dog’s teeth and removing the plaques. 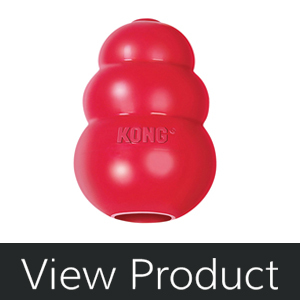 Kongs grow with your pet! There are a variety of sizes and styles to accommodate even the youngest puppies and full-grown dogs of all shapes and sizes. It can be filled with treats inside. It has a good effect on your dog’s oral health. It’s durable because of the material used for the toy (rubber) and can take extreme chewing. Very entertaining for your dog. It will satisfy his natural instincts for hunting. It’s for all sizes and breeds of dogs. The smallest size of this toy can be swallowed by your dog so choose an appropriate size of this toy for your dog. If your dog easily breaks his other chewing toys, try giving him this one. 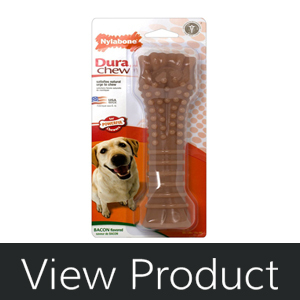 The Nylabone Dura Chew Textured Souper is specially made for heavy chewers. If your dog also gets easily tired of munching on the same taste, this toy comes with different irresistible flavors that will surely get your dog excited. List of flavors includes: bacon, chicken, liver, frenzy pepperoni, original bone and peanut butter flavored bone. It is made with durable nylon with textured design for a better chewing time for your dog. It is also available for bigger bones for bigger dogs. The company made sure that this product can take a lot of heavy chewing to last for a long time. We want to get our money’s worth, right? Long lasting, and durable due to the material used to make this product. The new textured design is something that your dogs would like. Specially designed for strong chewers. 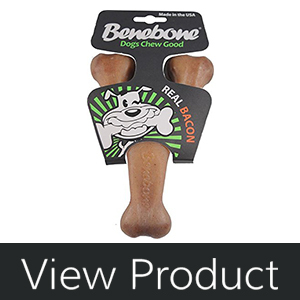 Extra-large chew bone for large dogs over 50-pound. Comes with an irresistible variety of flavors. DuraChew toys are made to be long lasting. Although good for chewing, this toy is not edible. If you want to give your dog a little more fun, give him a chewing toy and a ball in one! 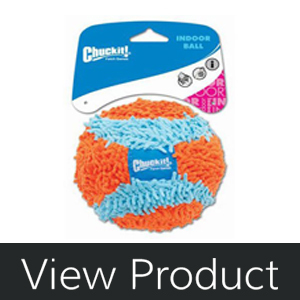 Dog toys balls is a product made by Rocco & Roxie Supply Co. This toy is one of the safest toys in the market. It is made with no toxic BPAs. No phthalates, latex or heavy metals that are harmful to dogs. The materials used to make this toy are purely safe, high-quality, and this one is tough! Heavy chewers can munch with this plaything since this one claims to be indestructible. Even if you left out this toy outside a freezing and bad weather, this won’t get broken and your dog can still play with it. The color of the toy won’t fade even for a long time. 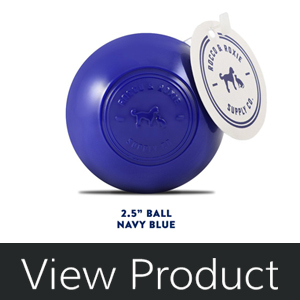 This toy comes in two options; a navy-colored ball that is 2.5 inches, and a powder blue-colored one that is 4 inches. It is also easy to clean. Just wipe a wet cloth or wash it with water and it will be good as new. Did we mention that your dog can even play with it in the water too? It would surely be a good bonding time for you and your dog. The materials used are perfectly safe for dogs. So far, no bad thing about this product, but if your dog is not into ball toys, better choose another toy on the list. Want to stimulate your dog’s brain while he plays? This smart interactive IQ treat ball would do the trick. This call has a hollow space inside where you can put your dog’s favorite treats. The hole on the ball will dispense the treats when rolled. Let your dog figure out how he can get the treat. He would be stimulated not only physically, but also mentally, which is good for your pet. This will surely keep your dog distracted for a long time. It’s like hitting not only two birds, but three, in one stone. The difficulty of this toy for your dog can also be adjusted so if he likes more challenge or he easily solve level one, then you can increase the difficulty. Your dog will be able to play, think, and be rewarded by getting his favorite treats inside his toy. He can also chew this ball, but it’s not intended for heavy chewers. Light chewers can play with this without you having to worry about the toy breaking; it can take your dog’s light chewing. Good for dogs since this will feed their natural curiosity for things by figuring out how to get the food inside. It can get him active. In order to get the treats inside, the dog needs to roll the ball to dispense treat. You can increase the difficulty level of the toy. If your dog is not into large chewing toy’s and gets bored easily with chewing bones, this one is for your dog. 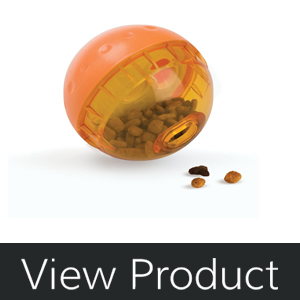 Not for large, heavy chewer dogs since the material is not too durable for them and might be dangerous if ingested. If small dogs are playing with it, supervise them. Your dog’s paws or mouth might get stuck in the hole. This toy is intended for your little puppy or your small dog. This is for dogs to prefer munching soft materials like clothes. Since puppies and small dogs have small teeth, big chewing toy or chewing toys that are too hard to chew might damage your fur baby’s teeth. Made using a soft material, this would be a perfect for your small dog’s playtime. You can also play fetch with this too! It’s a 4.5 inches ball intended for indoor use. It can also be used with an indoor launcher, though it comes separately. This would be good to entertain your pet without worrying to damage his teeth. Texture is great to help keep noise down. Perfect for puppies and small dogs. No need to worry for broken or damaged teeth since this one is firm but soft. Good for playing fetch indoors. There is a soft fabric cover that your dog would be happy to nibble on. It’s light weight. Your dog can carry it effortlessly. Not intended for aggressive chewers or big dogs. Can’t be played outside. It can easily pick up dirt and your dog might get sick when he chews on the dirty toy. Knowing your pet is very crucial when choosing and buying stuff for your dog. You should be aware of his habits, and what he likes best to maximize each toy you will be buying for him. Aside from giving you the list of the best dog chew toys for 2017, we also listed some tips before running to the nearest pet store to find toys for your pet. Avoid toys which are too small for your pet. They might swallow and choke on it or cause intestinal problems. Just because it is sold as a dog toy does not mean it’s safe for dogs. Don’t buy any toys that have any sharp or protruding parts. But toys that are both fun, and safe for your pets. We don’t want our dog to have emergencies to the veterinary clinic, yes? Check labels for safety standards. Buy only Bisphenol A-free (BPA-free), phthalate-free and lead-free toys. Since your dogs will most likely be chewing on these toys, you don’t want her ingesting dangerous chemicals. Give children’s toys to dogs. For example, dogs might chew off and choke on the eyes and noses of stuffed animals. Leave your dog unattended with a new toy.